As regular readers of Femulate know, I do not present as a woman 24/7, although I would prefer to do so. During Hamvention, a long-time ham radio friend mentioned that my transition appeared to be successful and wondered how my family has reacted to my living as a woman 24/7. I was surprised by his comment and asked him what gave him the impression that I had transitioned and lived as a woman 24/7. He was surprised by my question and stated that "everyone" just assumed that I had transitioned because I was so feminine in every way. No one would think I was a male or had ever been a male. On a similar note, another long-time acquaintance noticed the engagement ring (a fake) that I was wearing at Hamvention. She asked me who was my boyfriend and when did we plan to marry! I did not see as many Femulate readers as I have at past Hamventions. Usually I encounter a dozen or so of you at the "big show," but this year I only saw six of you. The fashionistas out there want to know what this fashionista wore during Hamvention, so here is a list. By the way, I way overpacked and brought more than twice the amount of clothing I actually wore! I like the new site of Hamvention, that is, the Greene County Fairgrounds in Xenia. It reminds me of The Big E and I like The Big E.
One female ham I have known for many years and who is very familiar with my roots, lives in Connecticut, but I usually only see her in Ohio at Hamvention. She staffs a booth near my booth and we always meet up at one booth or the other to chat and catch up, as was the case Friday morning, when she stopped by my booth. After talking for about ten minutes, she had to go, but before she left, she said, "By the way, you look beautiful!" I was speechless, but managed to squeak out a "thank you." Then she added, "I really mean that!" This year, I looked her up a few times, but she was never at her booth. I assumed that she did not make the trip this year and I was disappointed that we did not meet up. After I returned home, I was shocked and heartbroken to discover her obituary. She had died the day before the start of Hamvention. She was a kind and beautiful woman in so many ways and I will miss her. 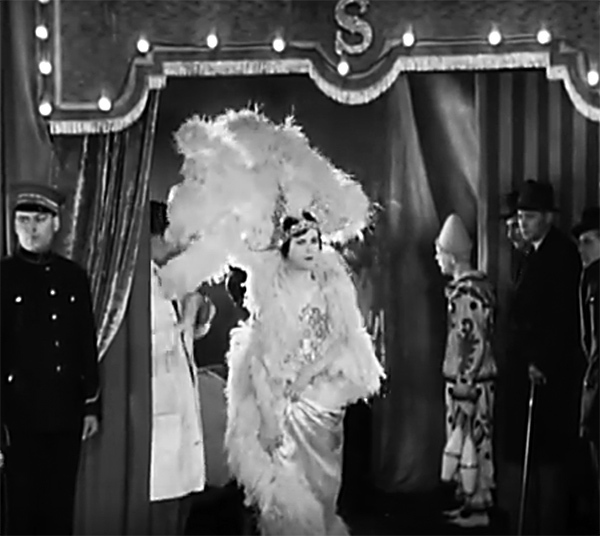 Esme Percy femulates in the 1930 Hitchcock film Murder! Stana, if you wear an engagement ring, you have to expect they will ask who is the lucky guy and when is the big day... and they want to see the ring. Yu didn't expect that? Sometimes my wig is too tight and cuts off the blood to my brain! Oh, my! I'm so sorry to hear about your friend. I was going to ramble about the Big E, but what I have to say about it isn't really important. I am still upset about losing my friend. Her and her hubby and I go way back. You looked great, as always. Catherine D. stopped by on Saturday afternoon and we tried to locate you at the TAPR booth, but you were apparently being a social butterfly somewhere else. I like the new venue, too, but it's so spread out that it's harder to find people than it used to be. The clean restrooms, functional spaces and better food options make up for it, though! Sorry I missed you two, too. That's a fabulous portrait photo of you Stana. You look great. Brunette really suits you.And that's a lovely dress.